Rose Gold Plated Pendant Crystals from Swarovski. 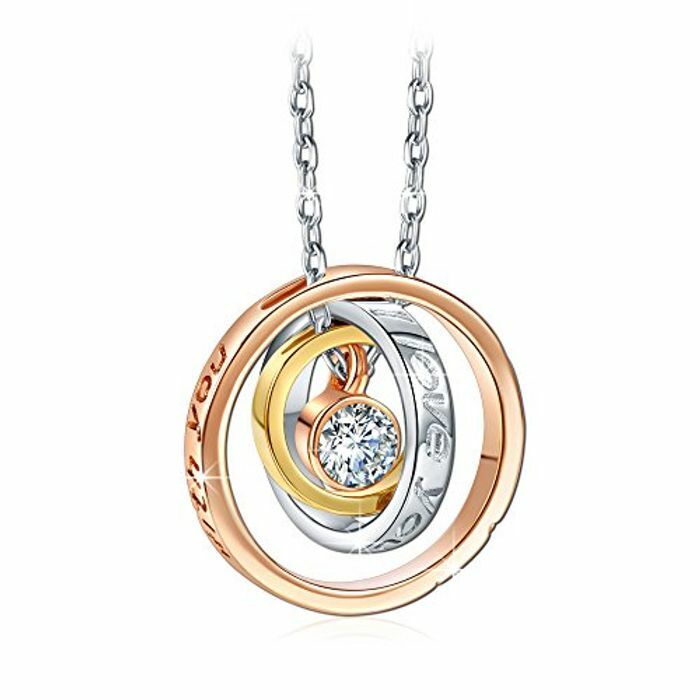 "Kami Idea Women Trinity Princess Necklace Mum, I Love You Engraved Rose Gold Plated Pendant Crystals from Swarovski, Elegant Jewellery Gift Box, Nickel Free Passed SGS Test, 45cm"
Specification: Stone Type: Crystals from Swarovski; Pendant Size: 2.1*2.1cm/0.83*0.83 in; Weight: 8.24g/0.3oz; Chain Length: about 45cm/17.7 in. Package: Comes with an elegant gift box. You may send to the one directly. No need for gift wrapping. Occasion: Perfect gift for mom on Mother's Day, Christmas or any good moment to express your love to your mother. Brand：Founded in France, Kami Idea Jewellery truly boosts creative self expression, offering jewelleries for every need and taste. Express your individuality with style and tell your story.